At Florida Spa & Pool Warehouse, we exclusively offer Hot Spring spas; the #1 selling brand of hot tubs worldwide. With Hot Spring spas, you can count on quality that is made to last. Why Hot Spring? They provide the powerful combination of massage and hot water. Hot Spring strives to do these things better with one of a kind massage, innovative water care systems and features that keep the water hot and the operating costs low. 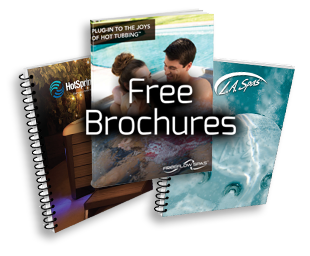 Hot Spring spas offer multiple collections and models in all price ranges, so you can find the hot tub that is just right for you. Why buy from Florida Spa & Pool Warehouse? Financing plans for any budget!